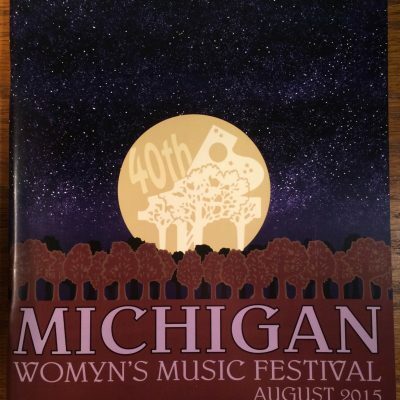 Cost: $10 for pack of 5 cards, $8.50 per pack for 3 or more. 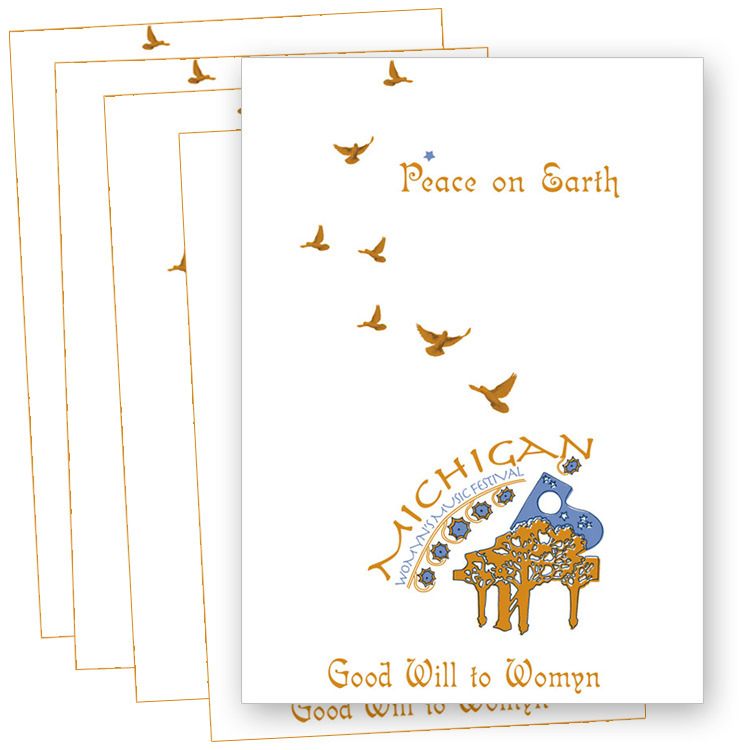 Peace on Earth, Good Will to Womyn Michfest holiday cards. Pack of 5 cards.